WEST PALM BEACH, Fla.-- Mayor Keith James asks West Palm Beach residents to help conserve water and possibly win a great prize! 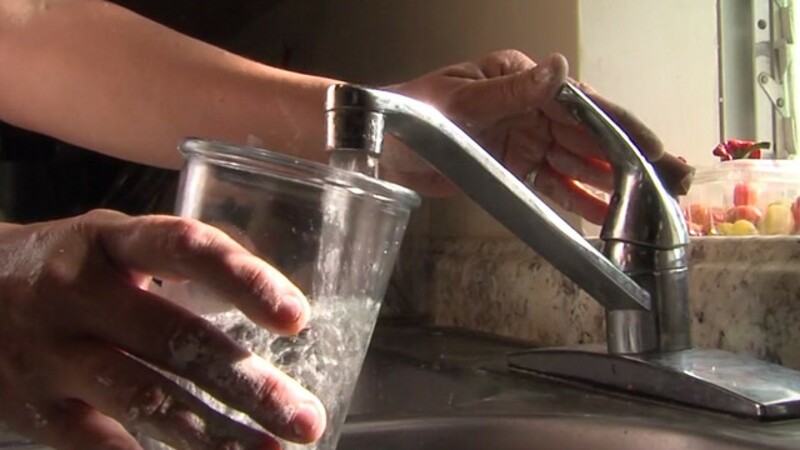 The newly-elected mayor is asking all residents to take the "My Water Pledge." "If you kind of get into the habit of preserving water and it becomes natural, I think that’s what this competition is doing is just getting people to become sensitive to it," Mayor James said. It's part of a national challenge among cities to see which can be the most "water-wise." The city of West Palm Beach won in 2013 by receiving the most pledges. "Your pledge is counted toward our city," said Elaine Christian, sustainability program coordinator for the West Palm Beach Office of Sustainability. "We hope to be on the leaderboard hopefully soon. We’re not there yet." The Office of Sustainability offers free tools to help people reduce their water usage, including toilet leak detection dye tablets, shower timers, a voucher program for high-efficiency toilets, as well as a home water audit kit. “Shut off the faucet when you’re brushing your teeth. Take shorter showers," Christian said. "I've definitely implemented a lot of these resources in my own home. We use aerators, low flow shower heads, high efficiency toilets, and you really do see a dramatic decrease in your water usage." Each resident who clicks on the mywaterpledge.com site and takes the pledge is entered to win some great prizes including a Toyota Highlander hybrid.